Mannerhein was born on June 4, 1867. He began his military career in the Imperial Russian Army as Finland was part of the Russian Empire at the time. When Finland declared its independence and a civil war began in 1917, Mannerheim was appointed commander-in-chief of Finland's army and defended the Finnish government. For his contribution to preservation of Finland's independence he is sometimes called the father of modern Finland. During his long career, Mannehreim also served as Chief of Defense of the Finnish Defense Forces during the Second World War and as the sixth President of Finland from 1944 to 1946. He is the only holder of the title of Marshal of Finland that has been created for the occasion of his 75th birthday. In 2004, he was voted the greatest Finn of all the time. 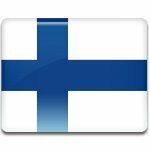 On June 4, the flag on Finland is flown from all public buildings from 8 a.m. to sunset. On the day, people remember Mannerheim and his role in the history of Finland, as well as honor those who serve or have served in the Finnish Defense Forces.